When you think of a faithful animal that's overjoyed to see you when you get home, you probably envision your dog. Or maybe your cat. 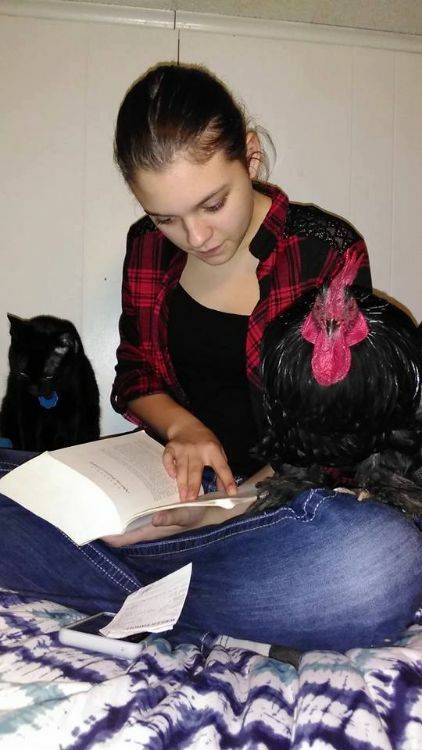 But one Texas teen is greeted every day by a loyal and affectionate rooster. 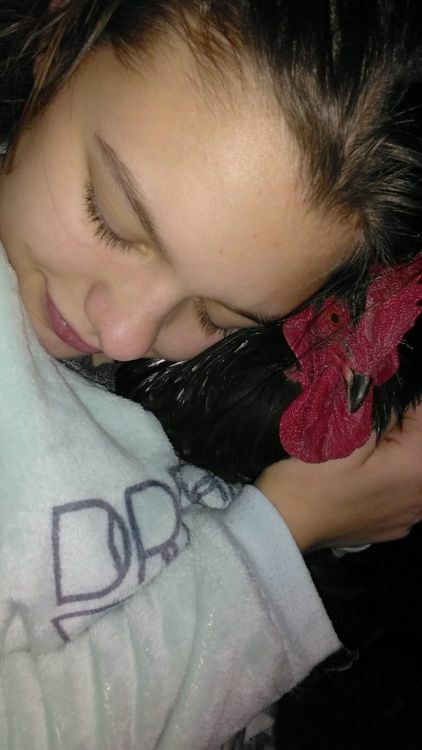 Rooster's don't have a reputation for being the greatest pets. Many roosters are aggressive, and they tend to be far from cuddly – unless you're talking about a special rooster named Frog. 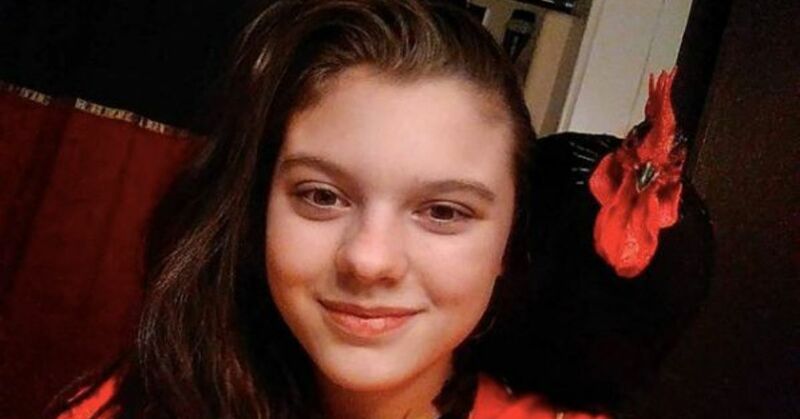 Meet 13-year-old Savannah Burns. 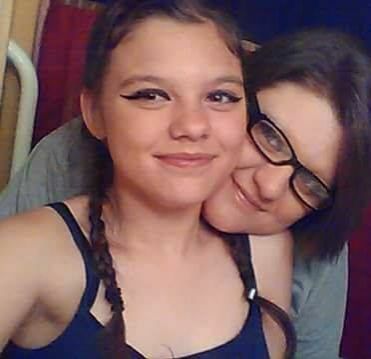 Her best friend, Frog, has lived with her family in Atlanta, Texas, for about a year. Frog earned his unusual name because of the feathers on his feet. The feathers make it difficult for him to walk, so he hops a bit. 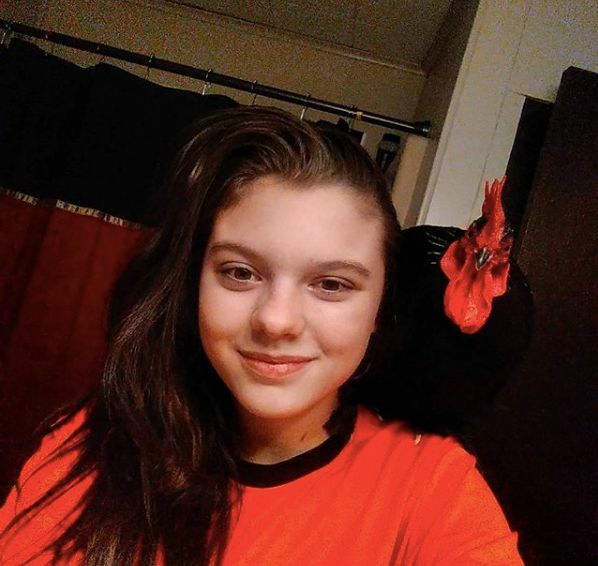 Savannah's brother commented that the rooster hopped like a frog, so the name stuck. But Frog's feathered feet weren't the only things unusual about this rooster. Instead of hanging out with other chickens, Frog decided to socialize with humans. He was far more interested in what the humans were doing than what his feathered friends were up to. Frog and Savannah quickly bonded. Savannah carried him around the farm with her while she did chores, and Frog would even sit on the kitchen counter while Savannah washed dishes. Frog also enjoys hanging out with Savannah when she reads or watches TV. Savannah has a strong bond with most animals, but the one she shares with Frog is unique. And lately, Frog has been showing just how much he loves his girl each day when she leaves home for school and then when she comes back. Every morning, Frog accompanies Savannah to the bus stop just up the driveway. He waits for her to come home, and when he can hear her bus approaching, he races up the driveway to greet her. 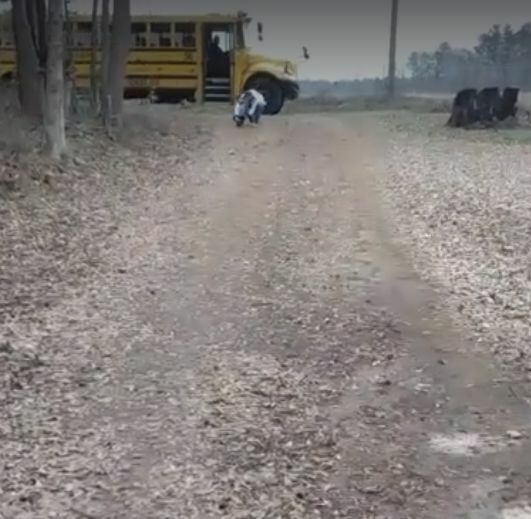 Savannah's mom, Holley, captured this special daily reunion on video. Frog is so impatient to be reunited with Savannah that if she doesn't get off the bus fast enough, he'll get onto it to get her. Luckily, the bus driver is well acquainted with Frog. 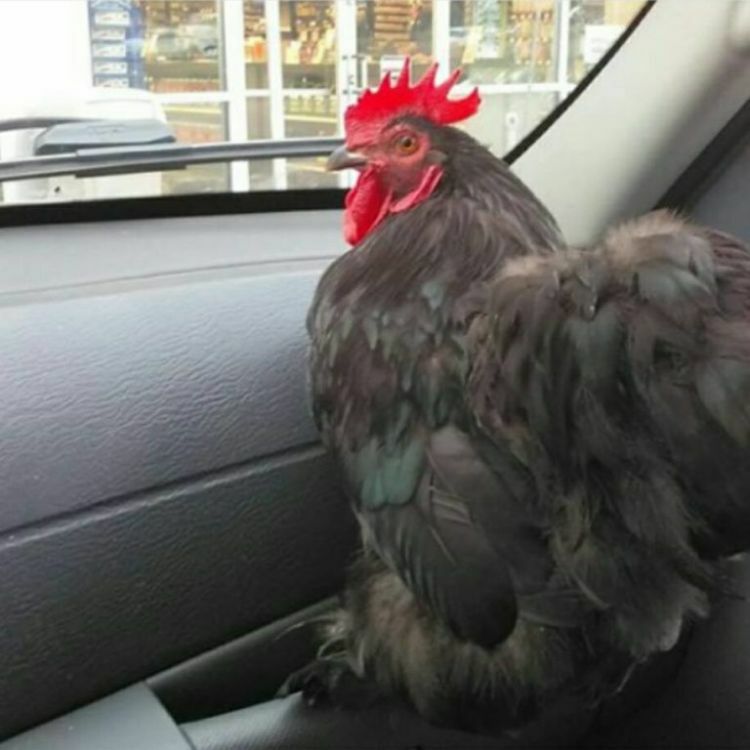 The driver makes sure this friendly rooster is well out of the way before driving off. Savannah and Frog share a very special friendship. Take a look at Frog's enthusiasm as he races to greet his friend. 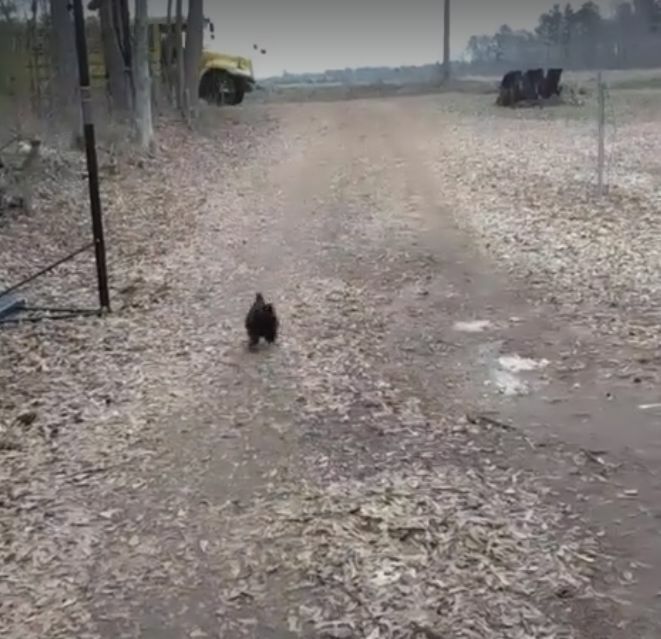 Have you ever seen a rooster so happy to see a person?